Chaco Canyon has one of the most significant concentrations of archaeological remains in North America. Pueblo Bonito, the largest and best known of Chaco’s great houses, was largely excavated in the late 1890s and early 1920s, but then no extensive excavations were conducted at the site until a team of archaeologists from the University of New Mexico began work there in 2004. In exploring the possible evidence of water-control features, archaeologists recovered some 200,000 artifacts. 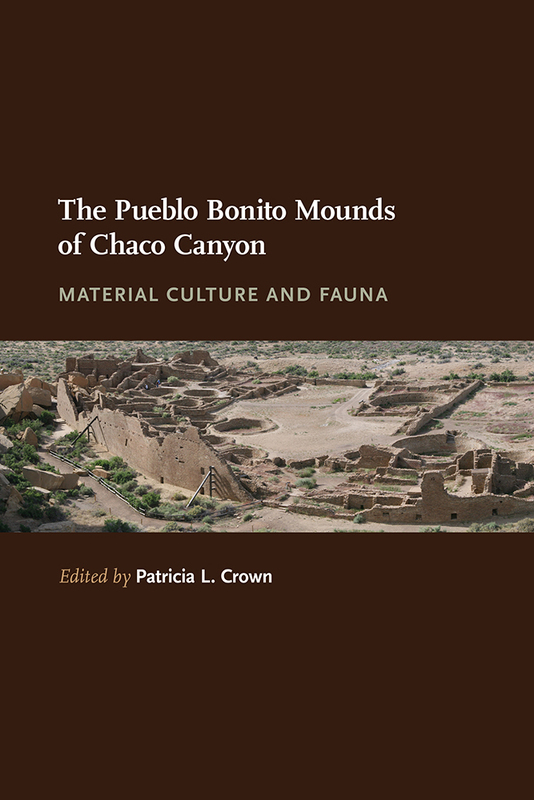 Here they use the artifacts and fauna they found to examine the lives and activities of the inhabitants of Pueblo Bonito as well as to further interpret current models of Chaco archaeology. The contributors particularly focus on questions regarding crafts production, long-distance exchange relationships, and evidence for feasting and other ritual behavior. The results from the 2004–2008 excavations challenge many interpretations related to the daily activities of the Pueblo Bonito population while supporting others. Patricia L. Crown is a Distinguished Professor of anthropology at the University of New Mexico. An award-winning archaeologist, she was elected to the National Academy of Sciences in 2014. She is the author, editor, or coeditor of five previous books, most notably Ceramics and Ideology: Salado Polychrome Pottery.